You’d think the Vans Warped Tour would be done announcing their 2015 lineup, but they seem to be surprising fans every week with even more bands to join the summer US festival. Warped Tour 2015 will be hitting the road with many, many bands, but now this lineup includes Senses Fail, Miss May I, Knuckle Puck, Macy Kate, The Bunny The Bear, and Kaya Stewart. 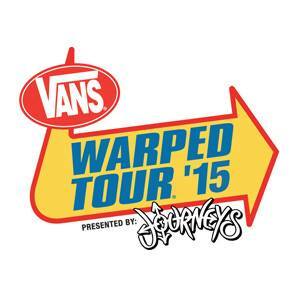 Check out the Vans Warped Tour website for more information. What acts are on your list to see this year? How do you feel about this week’s lineup? Let us know in the comments.